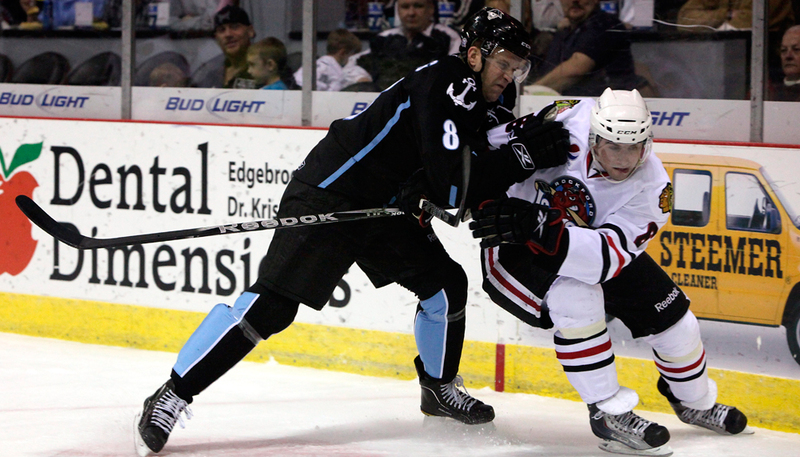 Rockford, Ill- Jonathon Blum and Roman Josi led the Milwaukee Admirals as they sailed past the Rockford IceHogs 2-1, on Sunday at the Rockford MetroCentre. 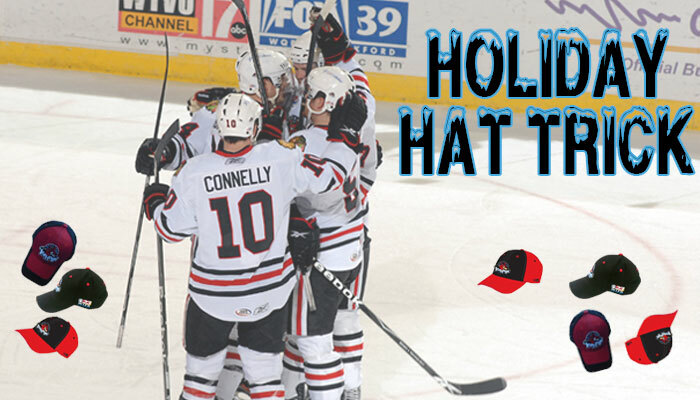 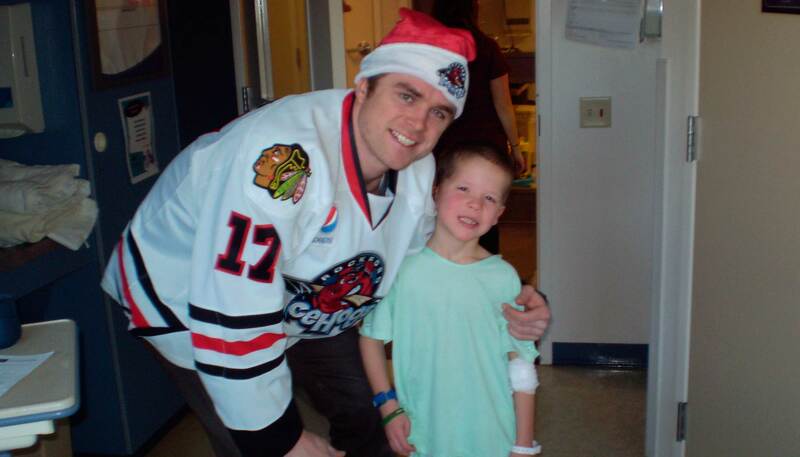 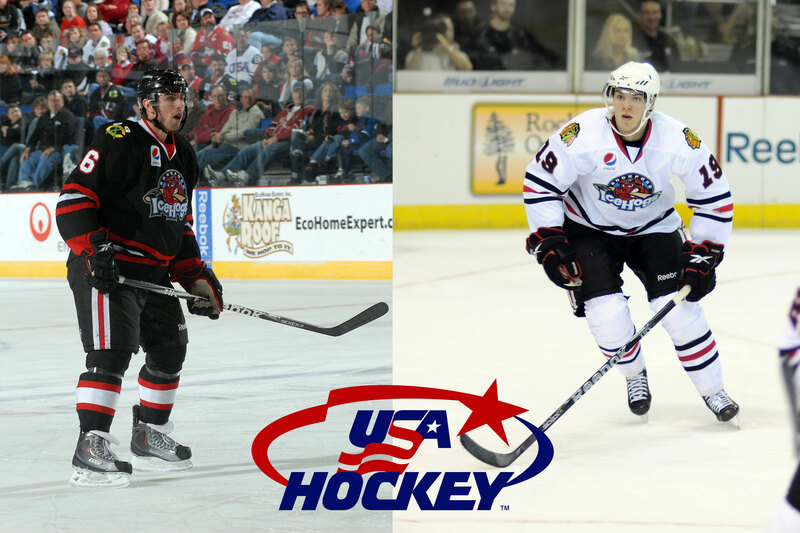 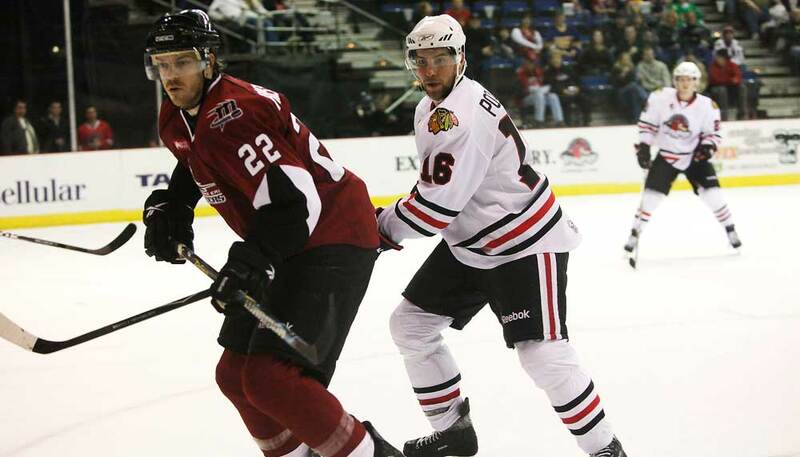 Rockford, Ill.- The Rockford IceHogs, proud members of the American Hockey League and top affiliate of the Chicago Blackhawks, announced on Tuesday that they are hosting a Bowl-A-Thon on Sunday, Jan. 23 from 2-5 p.m. at Cherry Bowl in Cherry Valley. 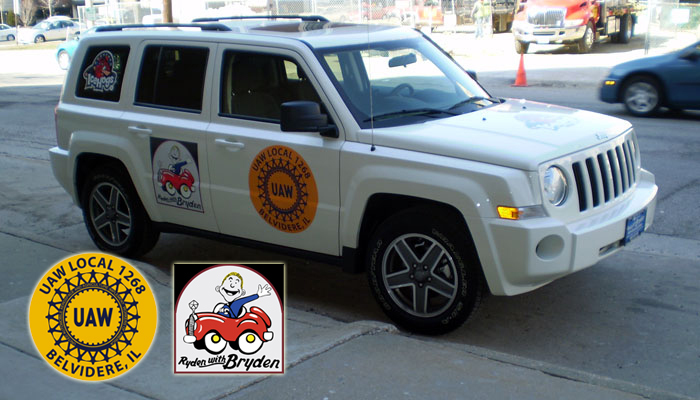 The event is sponsored by the WTVO-TV channel 17 and Q98.5. 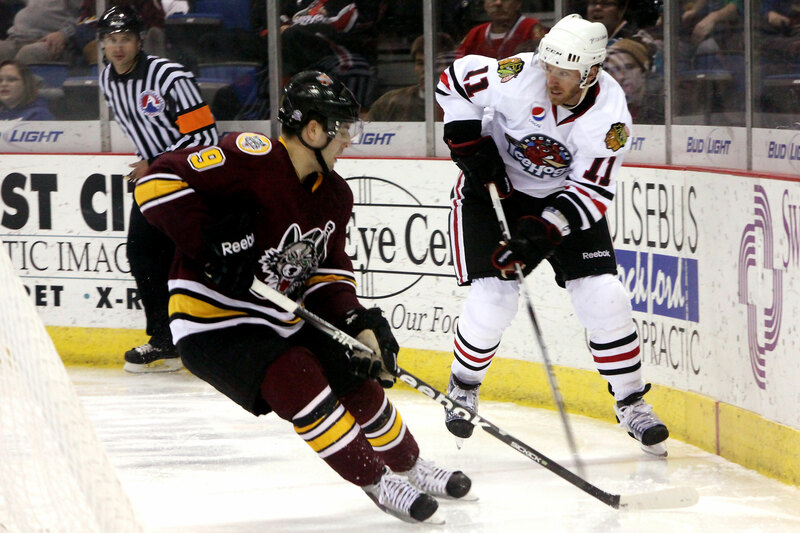 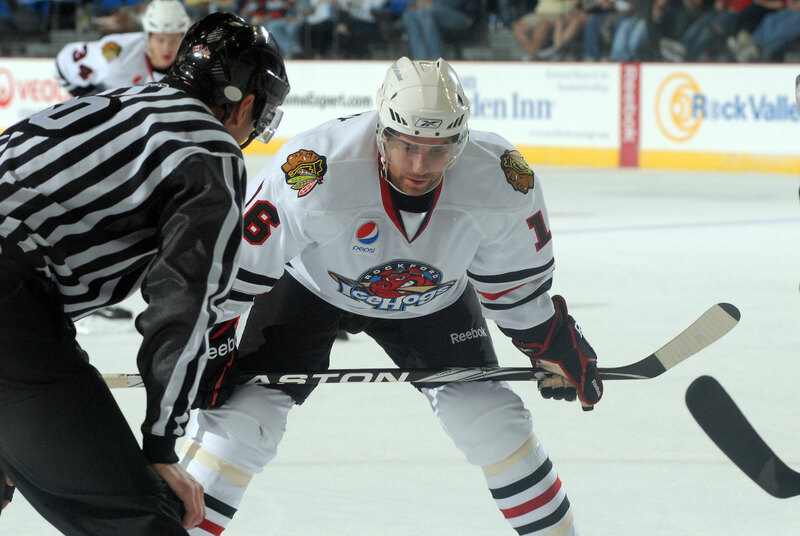 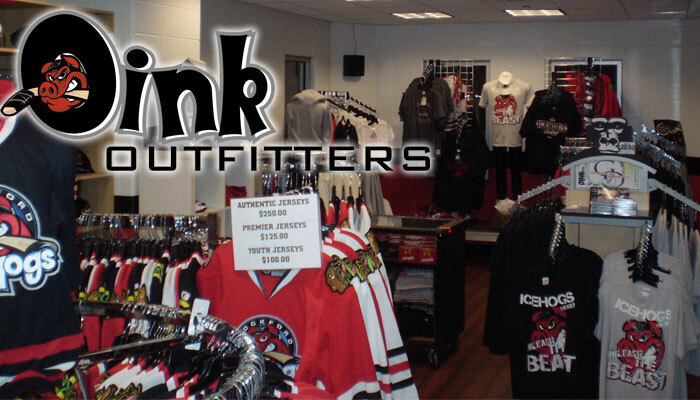 Rockford, Ill.- Down three goals late in period two, the Rockford IceHogs battled back against the Oklahoma City Barons to extend their point streak to five-straight games (2-0-1-2) in a 6-5 overtime loss at the Rockford MetroCentre on Saturday night. 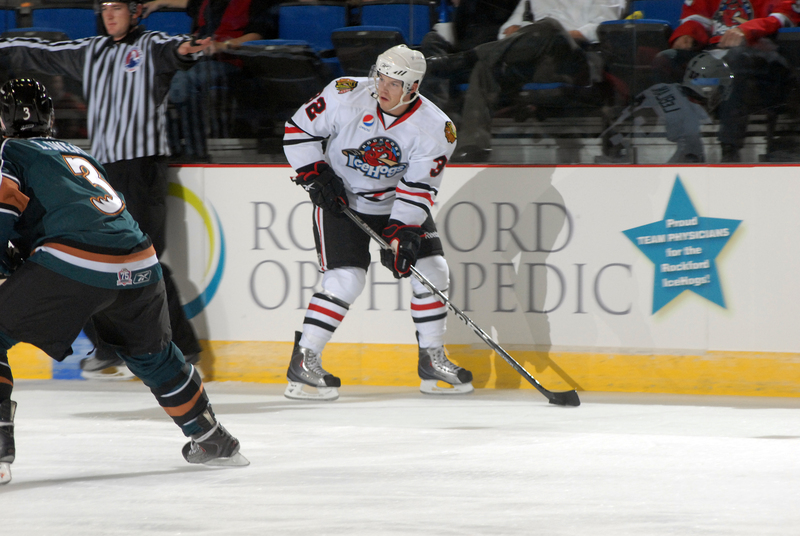 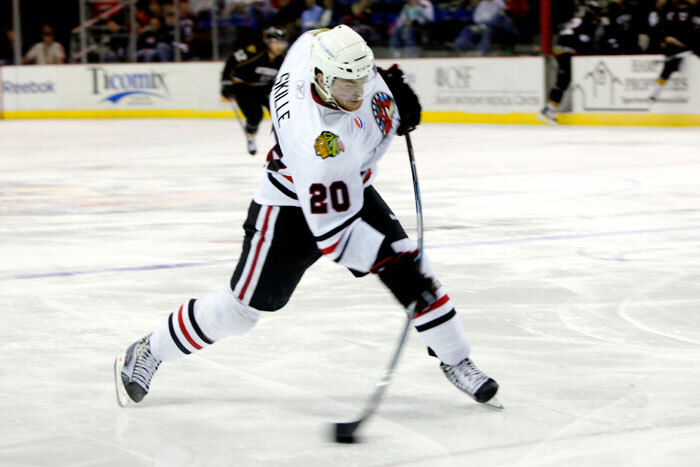 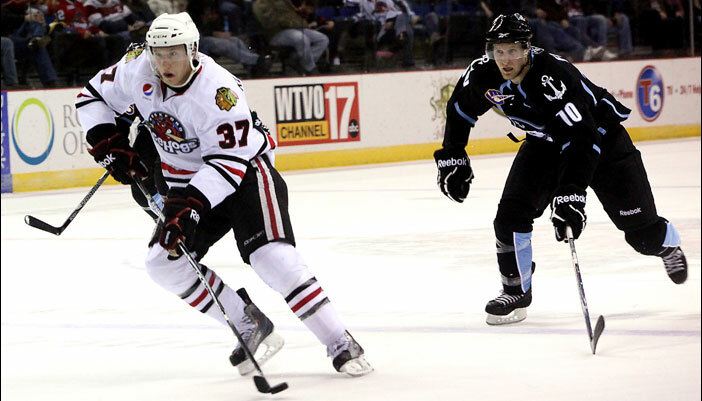 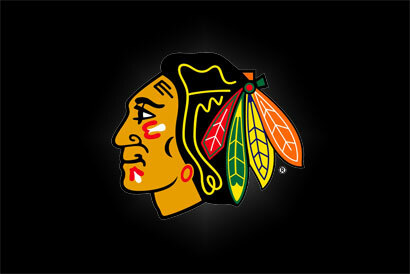 Chicago, Ill-The Chicago Blackhawks announced on Friday that the National Hockey League club has recalled forward Jeremy Morin from the Rockford IceHogs of the American Hockey League. 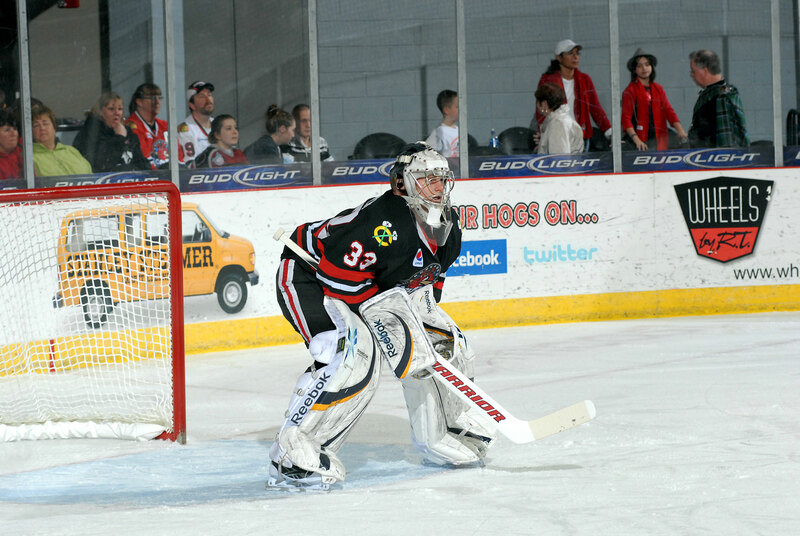 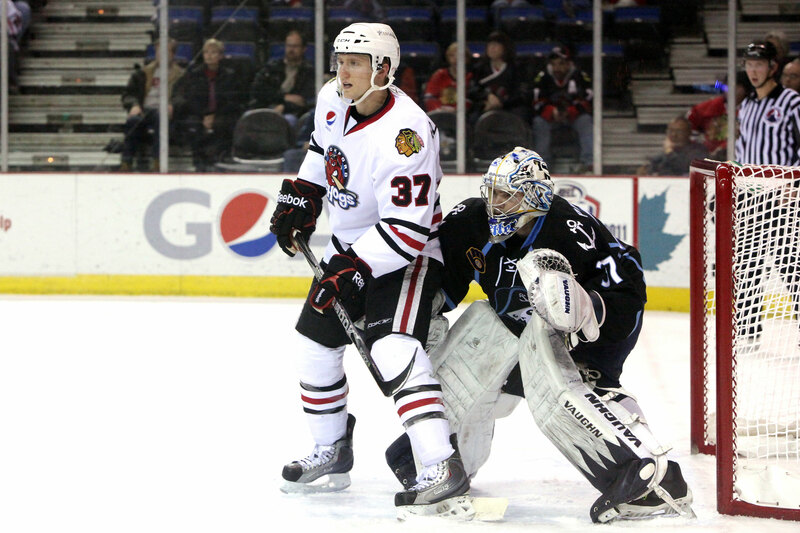 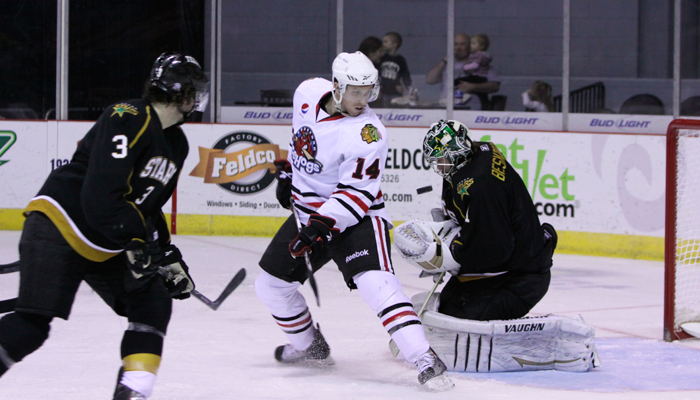 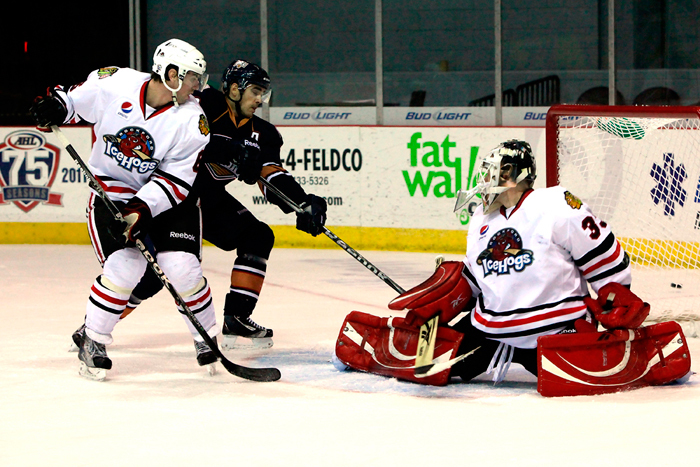 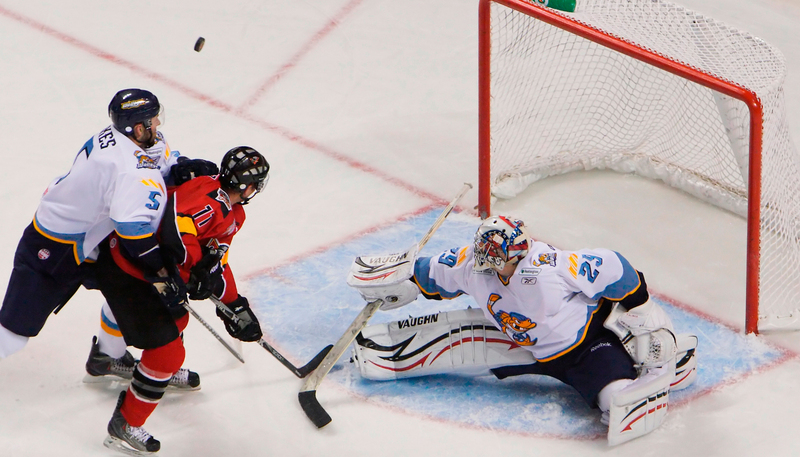 Rockford has reassigned goaltender Joe Palmer to the Toledo Walleye. 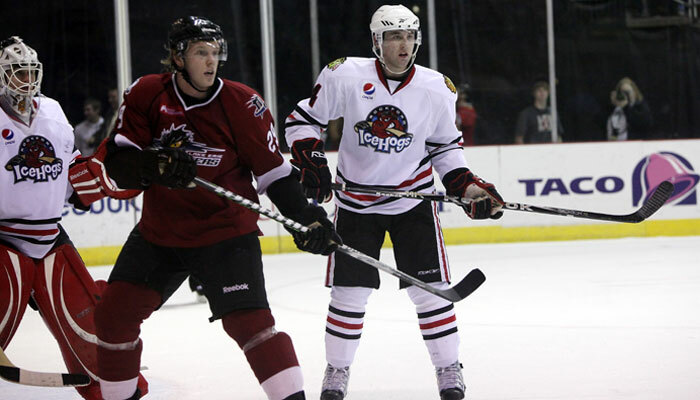 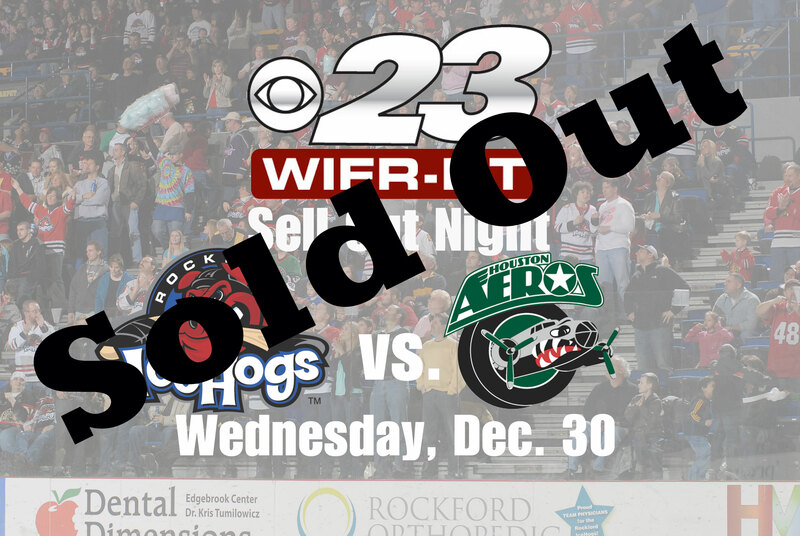 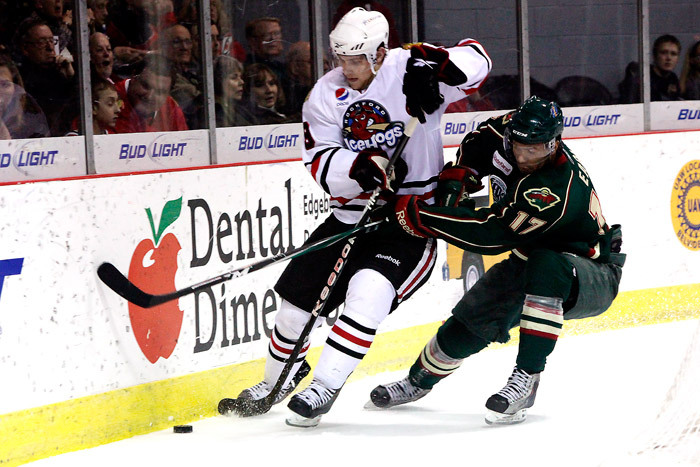 Rockford, Ill.-The Rockford IceHogs had an offensive explosion netting five goals in the second period to beat the Texas Stars 8-5 on Wednesday night at the Rockford MetroCentre. 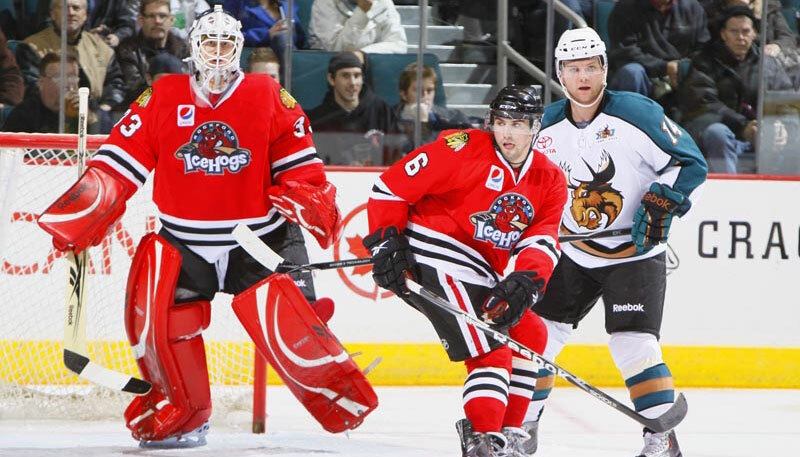 Houston, Tex.-Another solid goaltending performance by the Rockford IceHogs was turned in by Alec Richards and the club didn’t waste his 38 save effort. 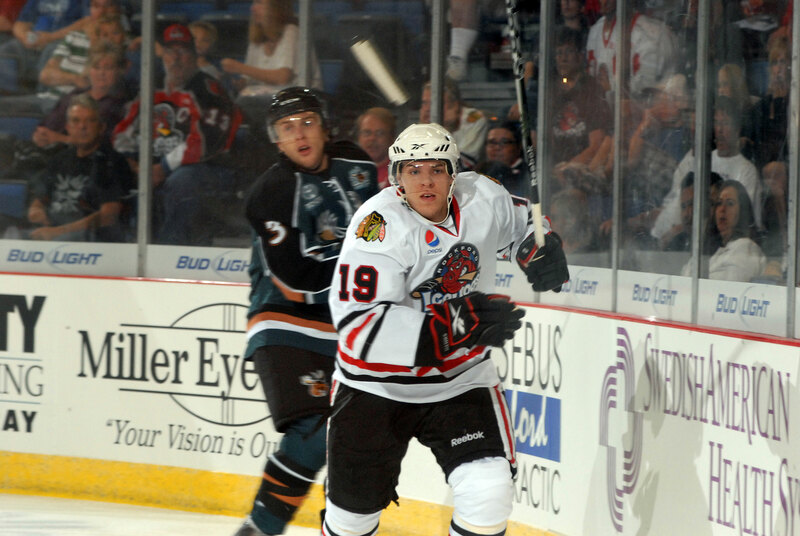 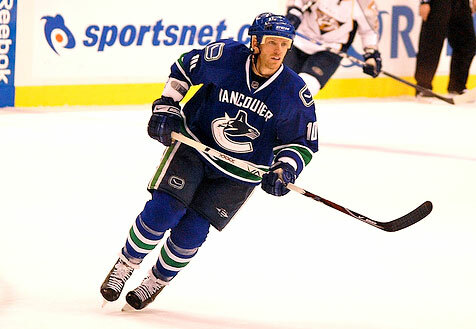 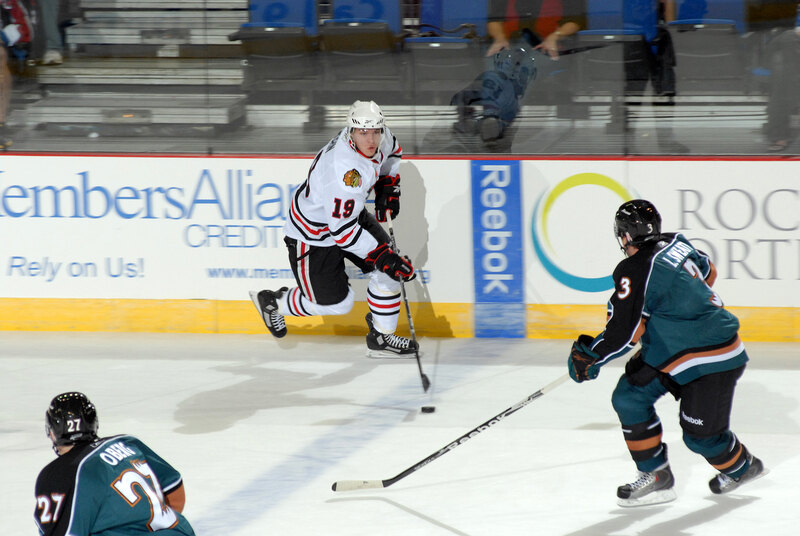 Two second period goals by Rockford were enough to skate them past the Houston Aeros 2-1 at the Toyota Center. 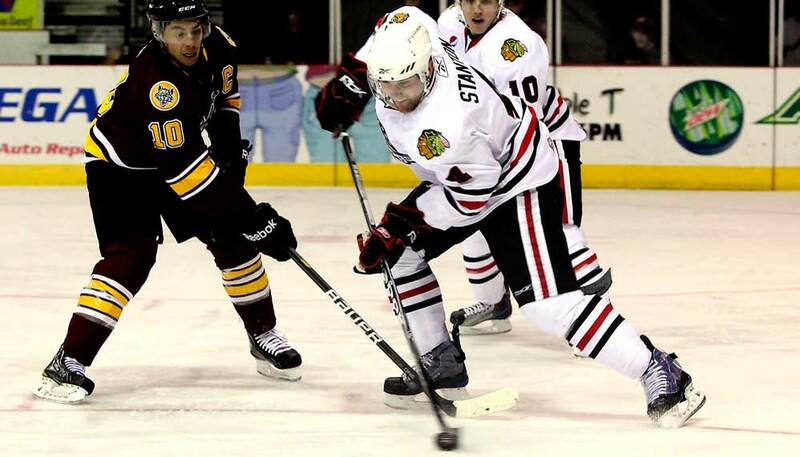 Rockford, Ill.-Davis Park in downtown Rockford will soon be getting a winter make-over. 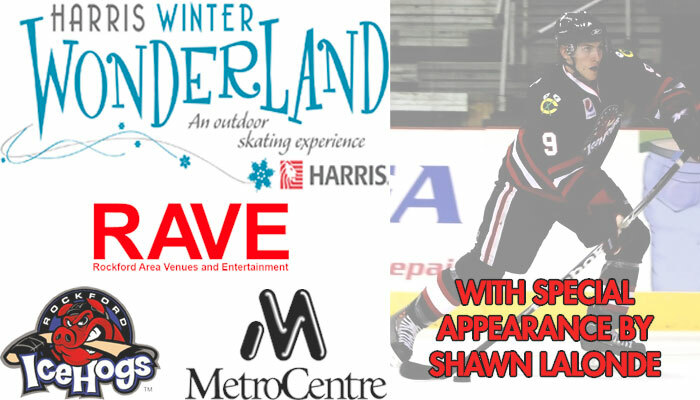 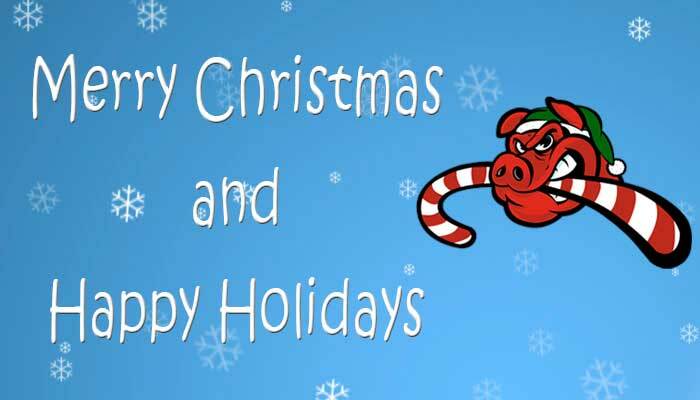 The Rockford IceHogs, MetroCentre and Park District in conjunction with Harris Bank have collaborated to bring the Harris Winter Wonderland to the community.